I had to buy this one folks because Zondervan doesn’t send me free ones. I hope you appreciate it. 🙂 I was looking for an Ultrathin to replace my black Lockman NASB in genuine leather. I came across this one from Zondervan. Now, it is not marketed as an Ultrathin, but it is almost exactly the same dimensions as my Lockman. The Lockman I reviewed here is burgundy, but it is the same as my black one that I kept in my lunchbox for a few years until I wore it out. I really loved the size, layout, cover material, binding, and of course the NASB translation, but it had thin paper. I was hoping that I would love this Zondervan as well, but there are a couple of areas where it falls down. 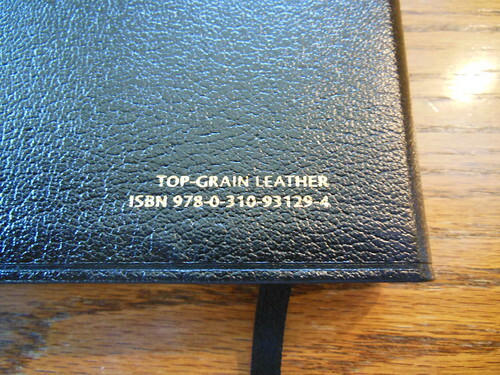 First, the cover material is advertised as, “top grain leather.” It may be top grain leather, but not from a cow. I don’t know, but it looks and feels like the cheap pigskin leather marketed as, “genuine leather” on less expensive Bibles. Pigskin leather is shiny, and usually has a grain stamped into it. 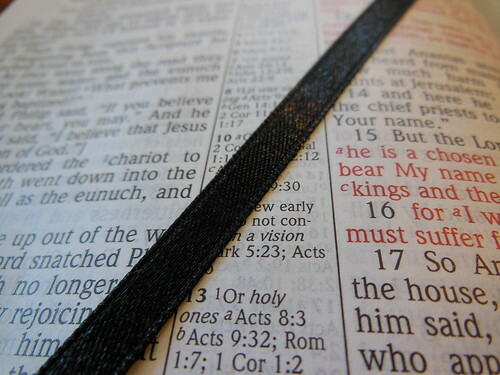 The binding tape they used for this Bible also fights against you. It should loosen up a bit as it gets broken in. Combine that with the cover material, and it is kind of a let down considering the price. It is also not as supple, or flexible as top grain cowhide leather. I really like Vachetta calfskin leather. It is so soft to the touch, it makes you want to pick up and hold your Bible. Here is a review I did of a Cambridge Cameo in Vachetta. 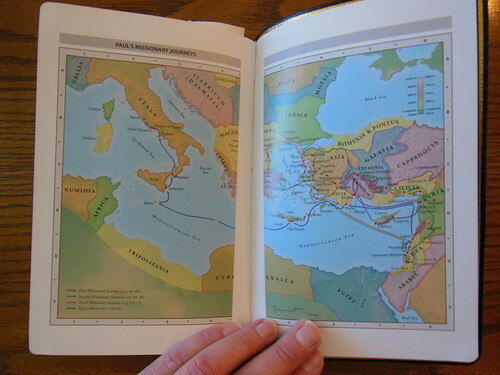 The Zondervan borders on false advertising, and relies on the consumer’s ignorance, as well as a lack of industry standards. 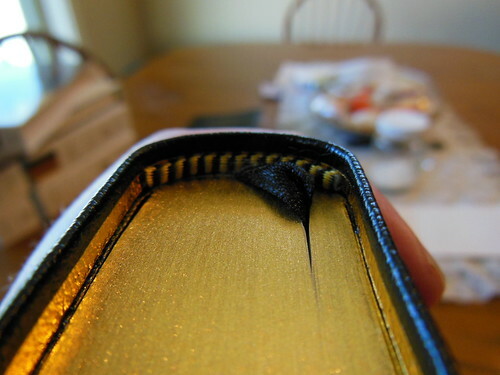 The Zondervan does have a sewn spine. This is a necessity as far as I’m concerned. 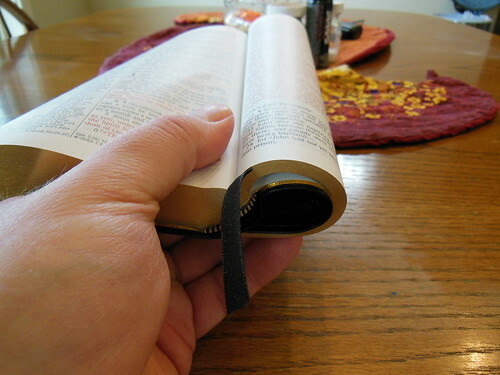 I won’t purchase Bibles with glued bindings. I think we should respect that we aren’t purchasing just some book. 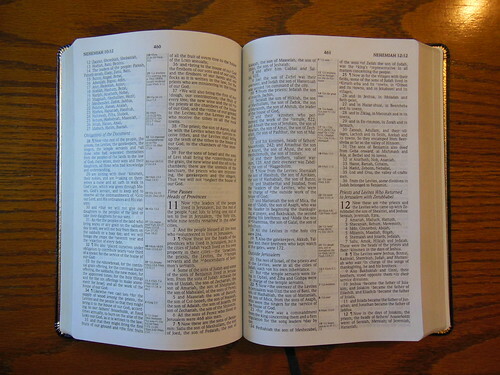 We are purchasing a copy of God’s word, to be studied and daily utilized. The amount of wear and tear daily use, along with travel, will cause is incomparable to a novel. 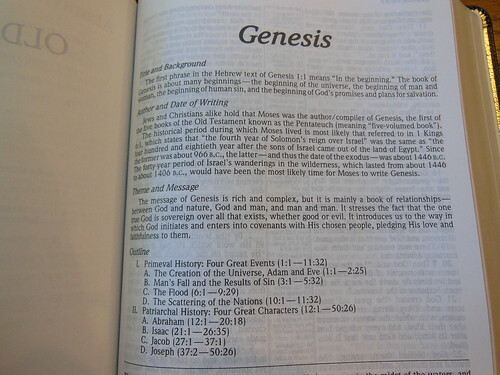 So why in the world would publishers think it acceptable to print Bibles as if they are some story book? Well, we all know the answer to that, money $$$. While this Bible isn’t extremely expensive. The cover is made from a genuine hide of some kind. I have had this Bible for a little while now. The cover is softening up a bit. The binding is also getting broken in. It lays flat now when I put it on the table to read from it. There is a presentation page in the front. The standard notes from Lockman about the NASB translation are present as well. 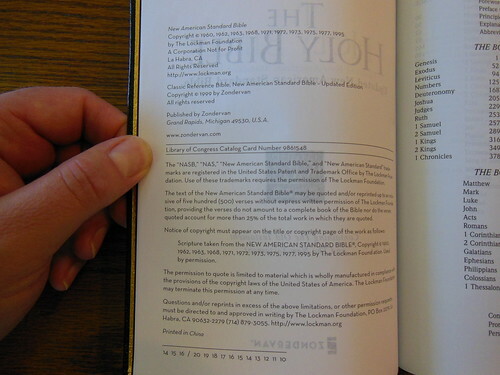 This Bible is printed in China according to the publisher’s information in the front. The page edges are gold gilt, with rounded corners and a rounded spine. The pages are printed well. It would be a bit better if they had utilized a bolder font. As it is, the text is clearly printed and uniform. 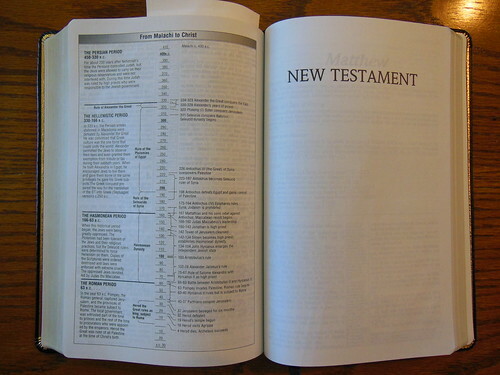 It is laid out in a double column, verse format, with center column references, and footnotes. 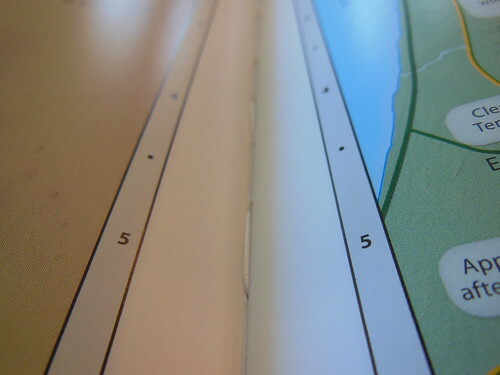 There are pilcrows, or paragraph markers noting the start of new paragraphs. 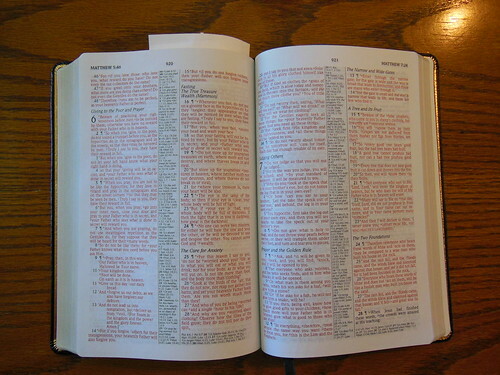 This is a helpful feature when you are using a verse format Bible like this one. The paper is acceptably opaque. Ghosting is not bad considering this is a less expensive Bible. The ghosting on this Zondervan is not near as bad as it is on the Lockman. So in that category it is a win for the Zondervan. The Zondervan is on the right, with the Lockman on the left. 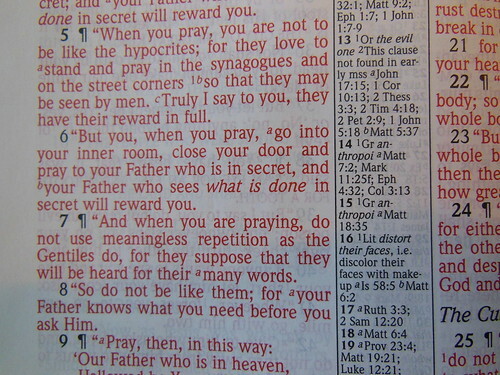 The words of Christ are in red, making this a red letter edition. The red is not too bright. The Lockman is lacking something this Zondervan has, brief book introductions. 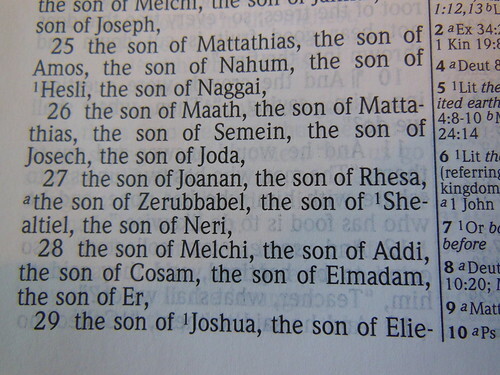 They might not seem that important, but they are a welcomed addition to any reference Bible. You get an introduction and concise outline. The introduction consists of, title and background, author and date of writing, and the theme and message. 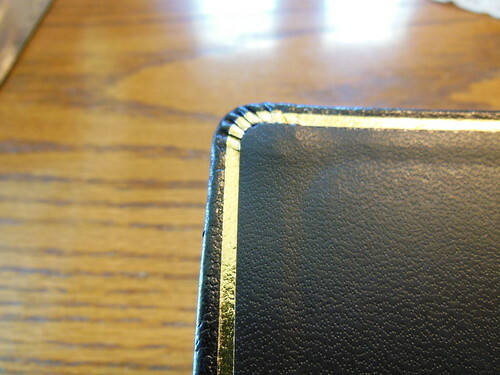 This Bible also includes decorative head and tail bands, decorative gilt line around the perimeter of the inside cover, a perimeter groove on the outside cover, and one black ribbon marker. In the back of the Bible we have a useful double column concordance, Promises from the Bible, Perspectives from the Bible, and 8 color maps. Overall, this is a great little Bible. 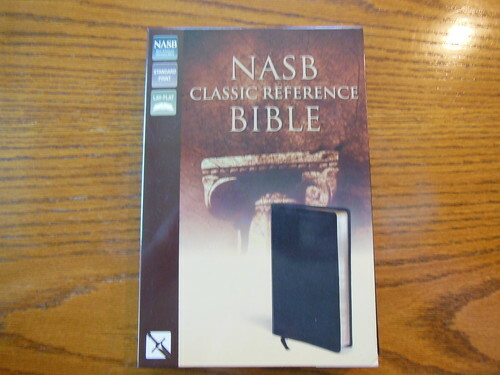 If you are after a verse format, ultrathin reference Bible in NASB with a leather cover, this has got you covered. There are more expensive Bibles. There are better built Bibles, but this one is in the sweet spot. It is better than your regular cheap bargain bin Bibles, and better than the value line Bibles. 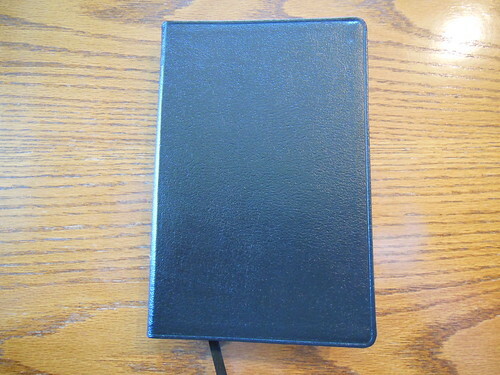 This would make a great gift for the Christian on the go, who wants a full reference Bible in a thin package. You can pick one up on Amazon.com, or Christianbook.com You can read more about it on Zondervan’s product page. If you would like, go to my flickr page and look at all the pictures of this Bible. As always, thanks for reading and have a great Christmas. Scared, Stay Safe? What in the World are they Scared of? Thanks Bob for the review. 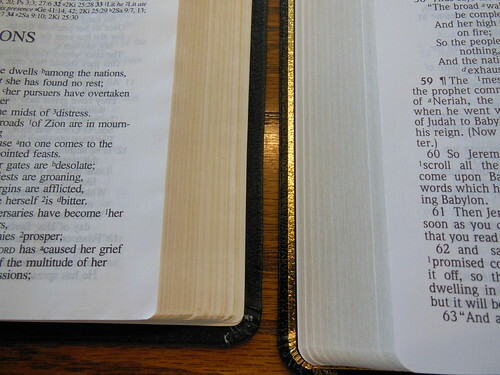 As previous experience with Zondervan bindings are less than favorable, can you comment on how the binding is on this bible after half a year of use? I gave this Bible to a fried at Church. He uses it as his everyday Bible. It still looks pretty good. This one is better made than many of Zondervan’s other Bibles because the spine is sewn together instead of glued. Like I said in the review, this cover reminds me more of a calfsplit or pigskin leather. That doesn’t mean that the binding isn’t good. The cover is less important than having a sewn spine. You should be able to tell from the pictures that this is a pretty flexible Bible for the price. I wouldn’t hesitate to purchase this Bible again. One thought to keep in mind, Lockman is going to be upgrading the paper they use around the middle of the year. 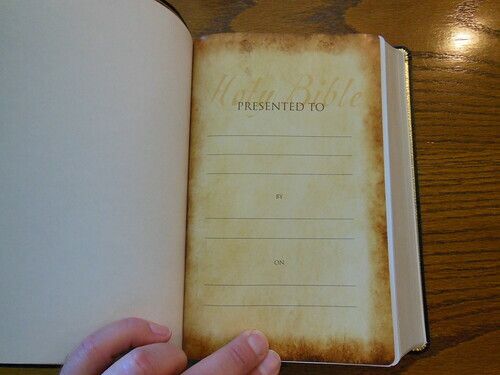 As soon as the old stock sells out you’ll be able to buy a Lockman reference Bible with much better paper than before. 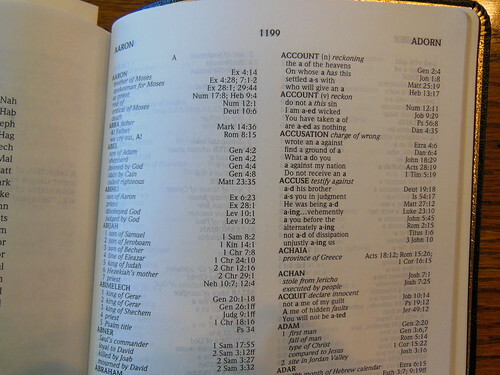 Do you know if this Zondervan NAS reference Bible has the same amount of cross references as the Lockman Bible? Lockman says they have over 95,000, but Zondervan doesn’t make that claim. I bought this Zondervan Bible thinking it would have more cross references than my ESV reference Bible. But with just about every verse I’ve studied, my ESV has more references. ESV claims over 80,000. From what I understand the Lockman cross references didn’t make it into the Zondervan. I think they used their own.